5425 South Kashong Pt Geneva, NY. 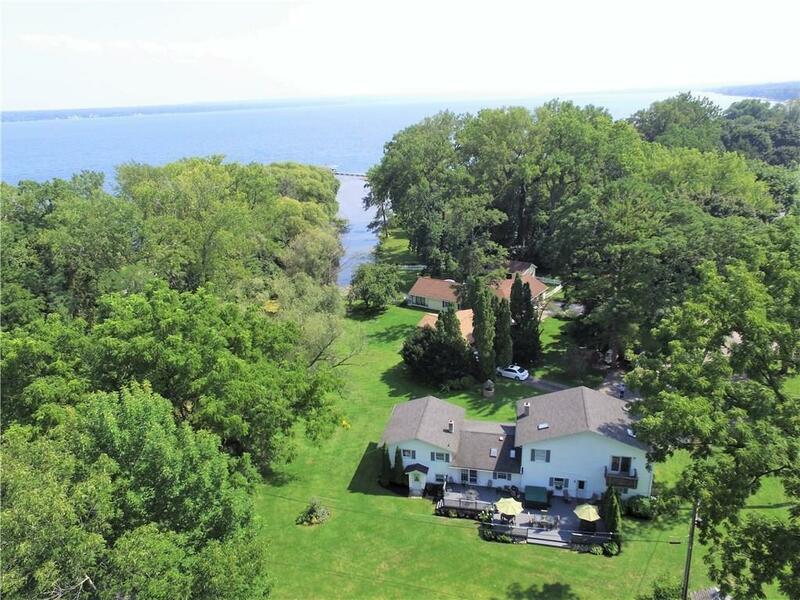 | MLS# R1150621 | Coldwell Banker Finger Lakes | 315-789-6768 | Geneva NY Homes for Sale, FINGER LAKES PROPERTIES, Seneca Lake, Cayuga Lake, All of the Finger Lakes. Move in ready 4 bedroom 2 full, 2 half bath home on South Kashong Point, just a short walk to Seneca lake. Pristine eat-in kitchen with stainless steel appliances. Private master suite with large bathroom and double walk-in closets. Large deck overlooking massive back yard with jacuzzi tub. Heated Two car garage with plenty of room for a work space, first floor laundry and large formal dining room with wood burning fire place. This home is located at the heart of the Seneca Lake wine trail. Directions To Property: From Route 14 Turn On To South Kashong Point. House Is Last House On Your Left.